Kickstarter Spotlight: Loved & Lost. Check out Exclusive Pages! “Sometimes you get lucky. Sometimes you get burned.” The new anthology Loved & Lost collecting 9 stories about imperfect romance launches on Kickstarter. Maybe it’s because I grew up reading short stories from Roald Dahl and Edgar Allen Poe, but I always thought the format worked best when it had some sort of wicked twist at the end. Not necessarily a tragic ending, but you don’t have a lot of time for development and the point of any story is to have the character change is some way. So pulling the rug out from beneath them is a pretty effective way to punctuate that moment. So I thought this would work well for love stories too. I mean, isn’t that how it really happens? You set yourself up with expectations that things are going to work out a certain way and then BAM, like a punch to the gut. When you think about it, there’s far too many stories about true love out there. Look, I get it. That’s the ultimate goal but there’s a lot to be said about what we learn from relationships along the way. So in a nutshell, that’s how I ended up writing 9 stories about imperfect romance. I’m not going to commit myself to say they all end badly. Some of them end in a situation that you might describe as… well, what’s the term? Complicated. These are stories about people living in the modern world dealing with pitfalls we can all relate to even if the details of how it went down vary. These are stories about soldiers, techies and artists meeting online, on vacation, or at sporting events. And it made for some great imagery along the way. I worked with a different artist or art team for each one and these creators may not be big names yet, but they did some great work. Not only are they very talented but their skill set matched each of these stories to a T.
I can’t wait for everyone to see more of this project and that begins with the Kickstarter. There are some great opportunities to grab either the digital or print version of the book, as well as additional prints, art, and a limited bookplate signed by the creative team. And I did something a little different with the prints this time around. Beyond getting some great artists like Leila del Duca (Shutter) & Toby Cypress (Omega Men), I decided to pair their illustrations with classic love poems. We laid the text right in there with the art and the result was very interesting. I’m going to make sure I print these at the highest quality I can. So there you have it, a brand new anthology that I’m really proud of. It’s the second one I’ve published and funded through Kickstarter. The first one (the Broken Frontier anthology) came out great, so I can promise you this will be a quality book delivered on time filled with stories I know you’re going to love. Shutter has taken a noticeably experimental turn, first with issue #19 and again this month with #20. Where last month’s chapter showcased three of Kate Kristopher’s siblings’ histories at once in a triptych layout, Shutter #20 develops one of Kate’s other siblings. Once again, Kate is faced with difficult decisions as she decides how best to proceed in the fight against Prospero. Readers (and Kate herself) are still processing the information Kate’s grandfather has given her, and while it has put the brakes on the actual fighting for a while, it has given the creative team a chance to develop the characters significantly. This arc has accomplished a lot of character development, bringing Kate’s siblings to the forefront with her, and has also given the team a chance to be more experimental in their storytelling. The experimentation isn’t necessary to make the story interesting, since the complex narrative, worldbuilding, and characters do that on their own, but it does help to strengthen the personalities of the characters. Kate is still very much at the center of the story, but the reader is also getting more of a sense of who the rest of the Kristopher siblings are through the way in which each sibling’s story is told. Shutter #20 is still penciled by Leila del Duca, who seems to get better each issue. Each character has a unique perspective, and this part of the story, largely told in a collaborative effort between Kate and the General is illustrated simply, with minimal detail. Colorist Owen Gieni keeps the palette simple with flat, bright colors, lending the new character a history tinted with innocence and a youthfulness that hasn’t really been present elsewhere in the story. The alternative art style is somewhat reminiscent of Emi Lenox’s flashback art in Nowhere Men, a charming interlude to the story. Though different from previous issues, the art team remains consistently awesome in color, illustration, and giving the characters life and personality. Once again, writer Joe Keatinge leaves readers with no clue as to where the story will go next. It is clear that a conflict with Prospero is drawing closer, but the back of issue #20 teases “the final three” in reference to the last of the siblings Kate doesn’t know. Other characters like Cassius and Chris Kristopher Sr. have been noticeably absent from the narrative, building a sense of intrigue regarding their whereabouts. Despite all the answers Shutter has given, it largely remains a mystery. Today at the Showbox Market Theater in Seattle, Washington, Image Comics kicked-off Emerald City Comicon with Image Expo and a slew of exciting creator-owned announcements. They also announced a new initiative Creators for Creators as well. THE BLACK MONDAY MURDERS is a brand new, crypto-noir series about dirty, filthy, money… and what kind of people you can buy with it. Set to launch in Fall 2016. THE DIVIDED STATES OF HYSTERIA is set in the aftermath of a dirty bomb that wipes New York City off the map, as what will come to be known as the Second American Civil War shatters the domestic landscape in isolated pustules of violence…and a team of five private contractors is charged with stemming this tide of rage and bringing the bombers to justice. The program will be a combination of financial backing and mentorship. The plan is to give $30,000 to a single cartoonist or a wrister/artist duo to support their creation of original work of between sixty-four and one hundred pages over a single year. A committee will decide the recipient. The mentorship mentioned will be beyond creation and will cover all aspects of the comic-creating experience to help create a firm foundation when it comes to the creative, business, legal, and financial aspects of the business. Recipients will retain rights to their works and will not just be supported by Image, but also Iron Circus Comics. The long term goal is to also make the website a resource to educate creators. Applicants must be at least 18 years old and you have until May 1, 2016 to apply. You can learn more here. 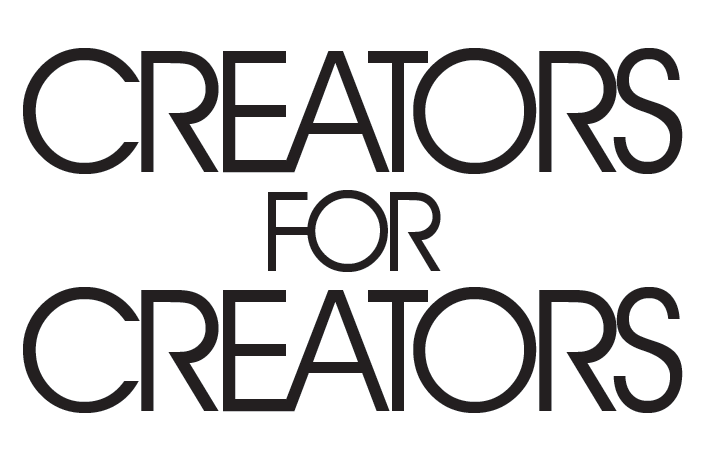 The Creators for Creators grant was founded by Charlie Adlard, Jordie Bellaire, David Brothers, Kelly Sue DeConnick, Nick Dragotta, Leila del Duca, Matt Fraction, Kieron Gillen, Jonathan Hickman, Joe Keatinge, Robert Kirkman, Jamie McKelvie, Rick Remender, Declan Shalvey, Fiona Staples, Eric Stephenson, C. Spike Trotman, and Brian K. Vaughan. The last issue of Shutter left readers on the precipice of action, with Kate ready to lead her siblings and friends into battle with Prospero. It was something of a breather for the series, which has been necessarily action heavy so far. Writer Joe Keatinge takes Shutter #19 in a different direction with an issue that has been a long time coming. This issue can be read one of two ways, as artist Leila del Duca says in the backmatter. Readers finally learn more about the background of Kate Kristopher’s siblings. Instead of its usual structure of a varying number of panels per page, Shutter #18 sticks to a format of three-panel pages and runs with a color theme unique to this issue. Each panel (top, middle, bottom) has a monochromatic color scheme and tells the story of a different Kristopher sibling (Chris Kristopher Jr., The Leopard, and Kalliyan Phy). Because of this, the story can be read by reading the entire page at once, or by following the top, middle, or bottom panel in order to read one character’s story at a time. Both are equally accessible, but reading one panel at a time highlights the disparities in each sibling’s upbringing. This format and subject, while answering questions, also keeps the reader guessing at why and how this came to be. The question of why Kate’s upbringing was so different from her siblings’ is partially answered, but the mystery of the series isn’t totally gone. Colorist Owen Gieni and Leila del Duca get to experiment with art on this issue, and the cover is something of a preview for the story. The monochromatic color theme associated with each character keeps the story coherent, letting it build to a climactic finish. Shutter‘s art is wonderfully consistent, and del Duca is a talented artist and a credit to the comic industry. The story is regaining momentum, but there’s no clear hint as to where it will go, something that Keatinge has done–and continues to do–well. Joe Keatinge and Leila Del Duca’s Shutter returns this week in its first issue since November. The third volume was released in trade paperback form last month, and hopefully readers are all caught up because this issue isn’t one to miss. So far, Shutter has been incredibly action-heavy, even though that action is necessary to the plot. Keatinge is a master in carrot and stick, teasing the readers with enough information to keep the story on the right side of line between “still incredibly intriguing” and “frustrating.” Until now, many, many questions have gone unanswered because the reader learns information as Kate learns it, though this changes when she “learns everything” from her grandfather. While Shutter #17 did bring the arc to a dramatic climax, the reader learned almost nothing about what Kate’s grandfather showed her. Shutter #18 doesn’t leave the reader entirely in the dark, revealing just enough to answer a few burning questions. In terms of pace, this issue is something of a necessary pause. It slows the action enough to delve into Kate’s history, namely the unaddressed ten-year gap between her father’s “death” and the present story. Shutter #18 gives depth to the relationship between Kate and Alain and Kate and Huckleberry, and begins to explain Alain’s resentment toward Huckleberry. Kate doesn’t back down from her decision to “end the world,” and together with the sinister turn of heart that Cassius/Alarm Cat has taken and the life-changing information Kate has learned from her grandfather, this issue gives the sense of being the calm before the storm. If seeing more of Kate’s past was a highlight of the issue, Leila Del Duca’s art was the other, equally awesome highlight, as she continues to totally nail the art. The characters are livened with dynamic facial expression and movement, never seeming too stiff or still on the page. Though the beginning of the arc may seem somewhat slow, the tension in this issue has a chance to simmer and build, suggesting that Kate and company will truly have some rough storms to weather before Shutter sees its end.